Meow! My name is Marta. I was found outside when I was crying and crying at the feeding station. I am so grateful to be rescued. I would love a quiet home. Marta is about 6 years old. She just had dental cleaning a 2 teeth pulled. Marta is a friendly lap cat. She loves people and is very social and affectionate. She is an active cat. Marta loves children. 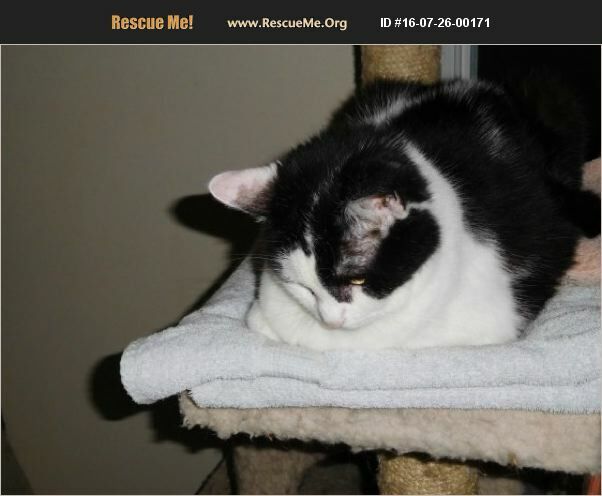 She has very soft fur and a beautiful black and white coat. Marta needs a special diet. She needs HA or hydrolyzed food to help her digest proteins. The food can be purchased online or through your Vet. Marta would prefer to be the only cat. She is a lovely companion. Cleveland Ohio area only.